On Patriots | Rich TAkes! We need to get out the vote. 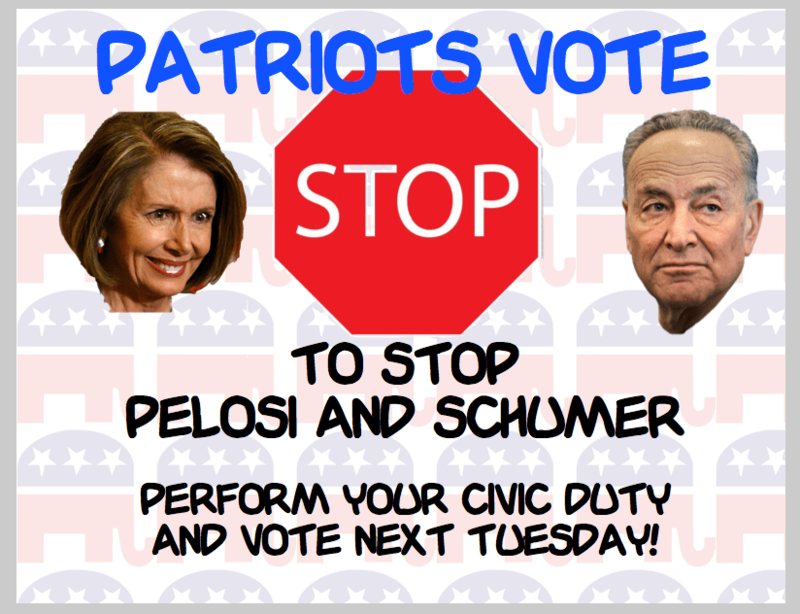 If you don’t vote, Pelosi and Schumer will be running Congress. Do you want those socialists running Congress? We ended up with another run with Speaker Pelosi. Schumer thankfully is not Majority Leader. This entry was posted in politics, Rich TAkes! and tagged Nancy Pelosi, Pelosi, Schumer, vote by Richmedia. Bookmark the permalink.